In this Baby Thermometer comparison, you can find out what the Tell Me Baby community thinks are the top Baby Thermometers on the market. 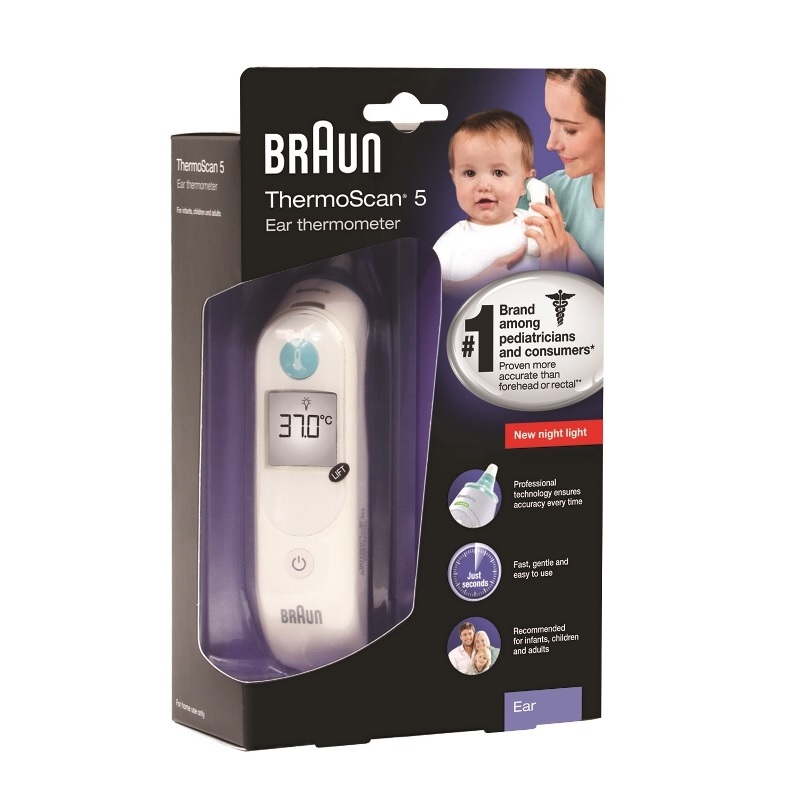 Braun Braun ThermoScan 5 IRT 6030 Ear Thermometer $139 4.9 18 "Best Investment You Can Make As A New Parent"
Vicks Vicks Fever InSight Thermometer $23.95 4.6 28 "I am in love with this product. So simple, yet gives accurate results." 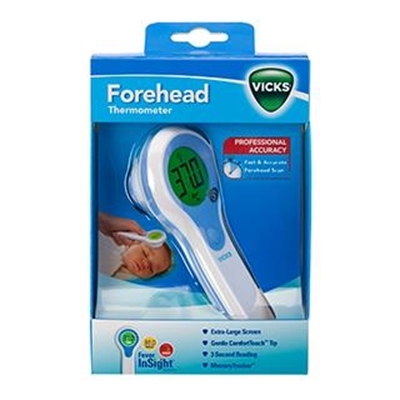 Vicks Vicks Forehead Thermometer $74.95 4.4 16 "This product was a lifesaver. It is so quick and simple to use." 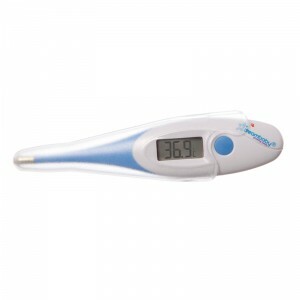 Dreambaby Dreambaby Clinical Digital Thermometer $9.95 4.2 11 "Accurate and quick to provide a reading. And it is only $10 too which is a massive saving. 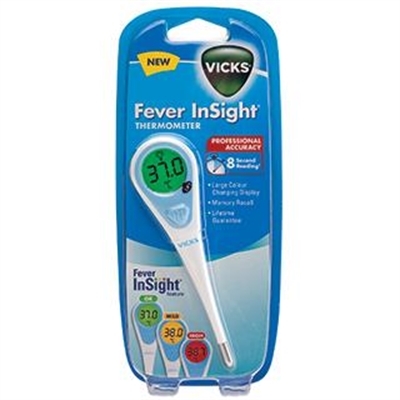 I definitely recommend this thermometer." 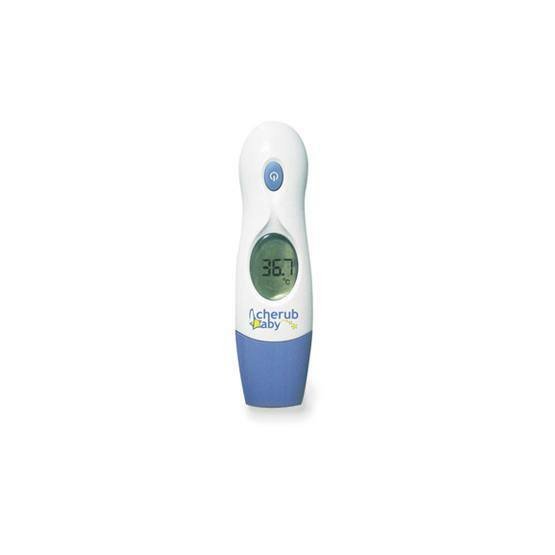 Cherub Baby Cherub Baby 4 in 1 Infrared Digital Ear & Forehead Thermometer $59.95 4 11 "We found this product very handy as it takes a very quick reading and has the option of using on the forehead or in the ear." Oricom Oricom NFS100 Infrared Forehead Thermometer $49.95 3.2 12 "Have never had a problem with this thermometer, it is super easy to use and have checked against others and it has always been accurate." Which Type Of Baby Thermometer Is Best? As a mother of two, with a childcare background, and having worked in numerous child care centres and also other people’s homes as a nanny, I’d like to start by saying I have a lot of experience using a range of different types of thermometers. Some thermometers have been simple, quick and useful – others not so much. So I’m going to share my own experiences to help you choose which baby thermometer is best for you and your family. I really like the idea of the infrared forehead thermometers. They’re supposed to be quick and non-invasive. Theoretically, they’re so gentle on your baby you can check their temperature without even necessarily waking them up. In practice, though I’m yet to use a forehead thermometer that was consistently accurate. Even though the results are often displayed within just a couple of seconds, I’ve found with any brand I’ve used you can check several times in the same location and get a fractionally different result each time. Though I always figure out the average of the results must be pretty close to accurate. Ear Thermometers, like forehead thermometers, are usually able to give you a very quick result. Which is great. You don’t want to be messing around with an unwell, or fussy baby, trying to get their temperature. I think one great thing about ear thermometers is getting that near-instant result. However they have some limitations, for example, you generally can’t use them to check the temperature of a newborn. Also, they need to be correctly positioned to get an accurate result, which may be difficult to do if baby is upset and uncomfortable with having something placed in their ear. Another thing to be aware of the price on the ear thermometers can vary greatly (from $20 to over $100) and it is a product where it’s worth paying for quality. I bought a dummy thermometer for my first baby, because it seemed like such a good idea. Basically, you just pop the dummy into baby’s mouth and it’ll read their temperature like an oral thermometer. My personal experience with this type of thermometer didn’t go so well, because my baby wouldn’t take a dummy from about 3 months onward. However, I’ve still heard lots of positive reviews on this style of baby thermometer. I think parents appreciate that it settles baby while also reading their temperature. Though I’ve also heard feedback that they may also not the most accurate thermometer. I would describe these as “regular thermometers” or “armpit thermometers” and they are my personal preference when it comes to baby thermometers. They are simple and inexpensive, but generally accurate. They have a couple of drawbacks, they can take up to a minute to get a reading, which can be difficult with a squirming baby. Some babies really dislike having the thermometer tucked under their arm, especially if they’re already upset due to illness. So it can be difficult to get a reading if you can’t keep the thermometer next to baby’s skin long enough. I hope this guide is useful for choosing the best baby thermometer for your family. If you have any questions or concerns about your baby’s health you should seek professional advice – for example, Health Direct offer a 24 hour phone service to talk to a qualified nurse about any of you or your families health concerns.